And here’s our first full look at Bat-breaker Bane, as played by Tom Hardy in next year’s The Dark Knight Rises. It’s obviously cold wherever he is, as he’s certainly more rugged up than his comics equivalent. There’s also a camouflaged Tumbler which looks like the prototype seen in the first film in the trilogy. More on set pics here, but the 2 below are the best. Ok, here’s one more then. The pair fighting in Pittsburgh, the stand in for Gotham City Hall. More of the same here. It looks like Batman’s costume is the same as the last film. 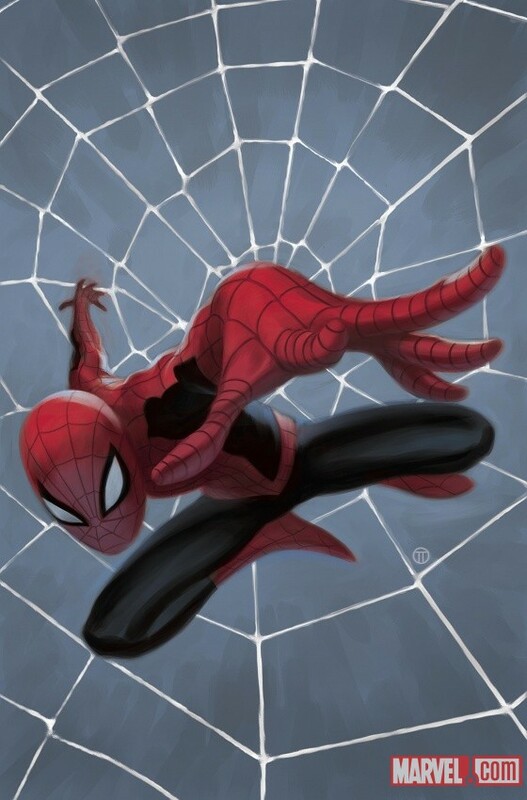 I hope he gets one last suit upgrade though. Maybe he will during the course of the film. This weekend DC Comics are offering 99c classic Superman stories. Everybody’s been talking about Superman over the past few weeks, and here’s one more reason. This weekend only we’re offering fans a chance to download their favorite issues for $.99 during the Superman 101 digital comics sale. We’ve got all those classic issues on sale in the digital collection, along with modern acclaimed stories including “Superman: Secret Origin” by Geoff Johns and Gary Frank, “All-Star Superman” by Grant Morrison and Frank Quitely and “Superman: For Tomorrow” by Brian Azzarello and Jim Lee. Be sure to download your favorite issues soon, the $.99 prices are only good through Sunday. 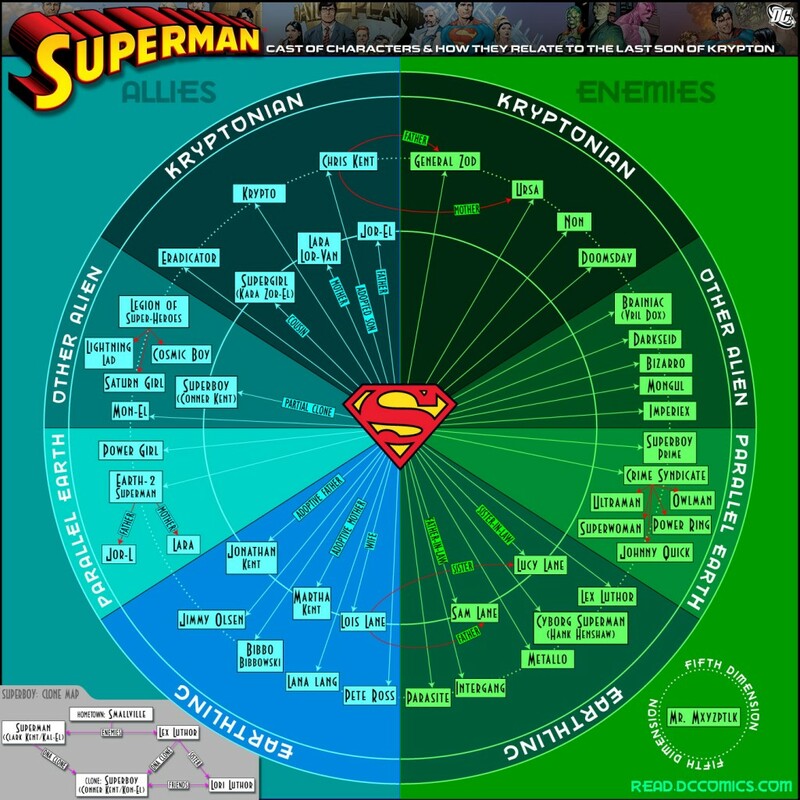 See the full list on offer right here and below is a handy infographic to keep track of who’s who in Superman’s world. 49 mins. We discuss this year’s Eisner Award winners, including some surprises and a few faves, plus examine the recent OGN from Archaia, Giannis Milonogiannis’ sci-fi mash-up Old City Blues. Also, Home Alone 2, Garfield, the exclusion of Jedis and more. Set in Greece after a devastating flood, this sci-fi tale wears it influences proudly on its sleeve. More info here and behind the scene commentary from writer/artist Giannis Milonogiannis here. I must admit that I’ve always been more of a DC Comics guy rather than a Marvel reader. As a huge comic book fan for the last two decades, Superman, Batman and co. have always filled my collection more so than the likes of Spider-Man, X-Men, etc. However, it’s pretty obvious that the last few years have seen Marvel hit paydirt with their characters on the silver screen, especially since 2008’s Iron Man, a successful release from their own studio. It was also the first film to build their so-called Cinematic Universe that has seen characters and plot elements shared between both Iron Man films, The Incredible Hulk, Thor and now, Captain America. Next year will see The Avengers, directed by Buffy and Firefly creator Joss Whedon in which those aforementioned heroes, and others, will join forces under the guidance of Nick Fury (Samuel L. Jackson). Captain America: The First Avenger, to give the film its full title, is certainly a thoroughly enjoyable “see you later” from Marvel, until The Avengers lands, and if you haven’t got the idea by now, yes, there is an extra scene here after the credits, in which we see The Avengers assembled. It’s short, but certainly worth sitting through the credits for. What precedes that however is two hours of rousing entertainment, and like all of Marvel’s other films, it works just as well for those unfamiliar with the character as it does for knowledgeable fanboys like me. Directed by Joe Johnston (The Wolfman, The Rocketeer) it stays very close to the comics character as originally conceived by Joe Simon and Jack Kirby in 1941. Set mainly during WWII, it follows skinny, but noble, man Steve Rogers (Chris Evans) who desperately wants to join the army, but has been continually rejected due to his asthma and general lack of fitness. Seeing within him a courage greater than his strength, experimental scientist Dr. Erskine (Stanley Tucci) chooses Rogers to be the next candidate in his Super Soldier program. The first candidate was Johann Schmidt, the man in charge of Hitler’s advanced science program, known as HYDRA. 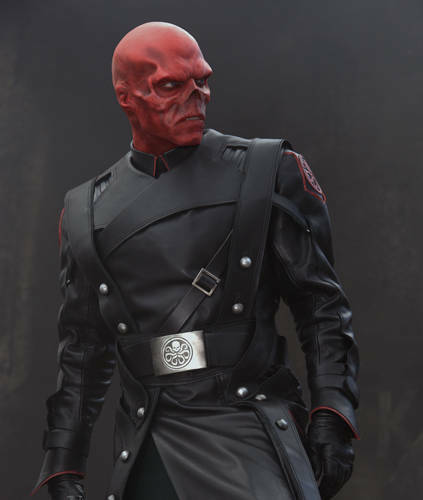 Growing impatient, Schmidt tried Erskine’s serum too early and although he became powerful, he was disfigured, taking the nickname Red Skull. 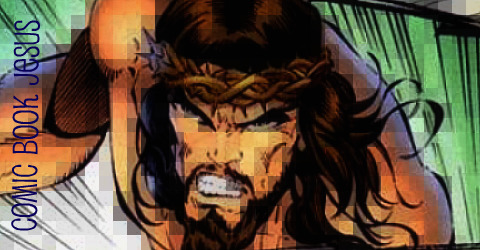 He has grown increasingly ambitious in his evil plans, and with the recent power he has gained from the Tesseract (known as the Cosmic Cube in the comics) he arms his soldiers with its power, intent on claiming the world as his own. Thankfully Erskine’s improved formula works much better, as a now beefy Rogers attests, especially when chasing a spy who kills Erskine and attempts to flee with the last of the serum. Rogers, now dubbed Captain America, becomes a national sensation and is sent on an international tour to rally the troops and get the public to buy war bonds. 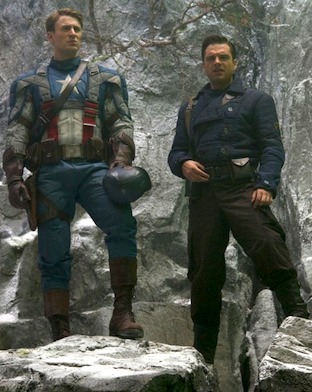 Rogers soon grows tired of this lack of military action and when he hears that his friend Bucky Barnes (Sebastian Shaw) has been kidnapped, he goes on a rescue mission, with the aid of British agent Peggy Carter (Hayley Atwell) and Howard (father of Tony) Stark (Dominic Cooper). Proving successful and discovering Hydra’s secret plans, Cap recruits a few soldiers and goes on a rampage to destroy all of HYDRA’s bases. There is a superb mix of humour and drama, and romance and action here, and the sci-fi elements never seem too grandiose for the WWII setting. 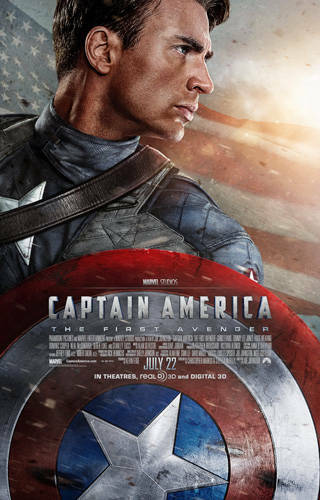 Initially proving skeptical to becoming Cap, after having played another Marvel hero (The Human Torch) in the two Fantastic Four films, Evans shows that he has the pathos and likeability to portray the patriotic hero here and most importantly, allows us to like the weakling Rogers even before he becomes the star spangled superhero. The supporting cast, which also includes Tommy Lee Jones, rounds things out nicely, but it is Evans’ show. The film moves at a brisk pace and even two montages can’t slow it down. The showdown between Cap and the Skull is somewhat disappointing, as are some of the CGI effects at times, but this is a much more solid film than Thor. It’s accessible, never dull and is quite charming with its straightforward action film approach. Fans of the comics will be taking mental notes here, as those behind the film know the origins of this tale and are not afraid to point them out. The transformation of Captain America’s costume makes sense here, and nods to Bucky’s comic costume, plus the inclusion of Cap’s allies the Howling Commandos are little things that will warm Marvel loyalist’s hearts. This is another winner from Marvel, and will hopefully get audiences geared up for next year’s rather ambitious super team film. See clips from this great film (including snippets of the post-credits scene) right here. Perhaps, and understandably, spurred on, by DC’s massive success with the Superman: Earth One OGN last year, Marvel are trying something similar with their characters, in order to get the attention of comics newbies. It’s actually a good idea and should be done more often, as walking into a comic shop for the first time can be daunting if you don’t know where to start. The following info was released at last week’s Comic-Con but the pics are new. 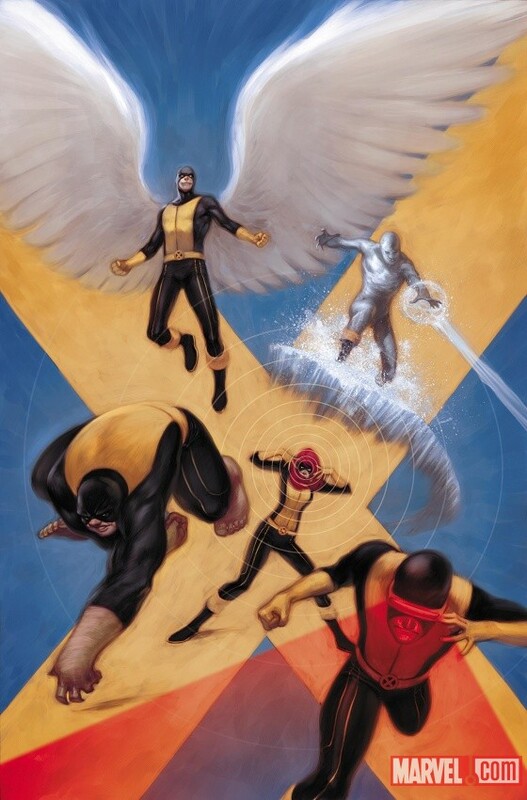 Then again, Marvel make a point to mention that they have been working on this for over a year, so I guess it’s one of those coincidences that happens between The Big Two from time to time. Next year, immerse yourselves in the Marvel Universe like never before as the world’s greatest super heroes star in a line of all-new graphic novels with Marvel: Season One! 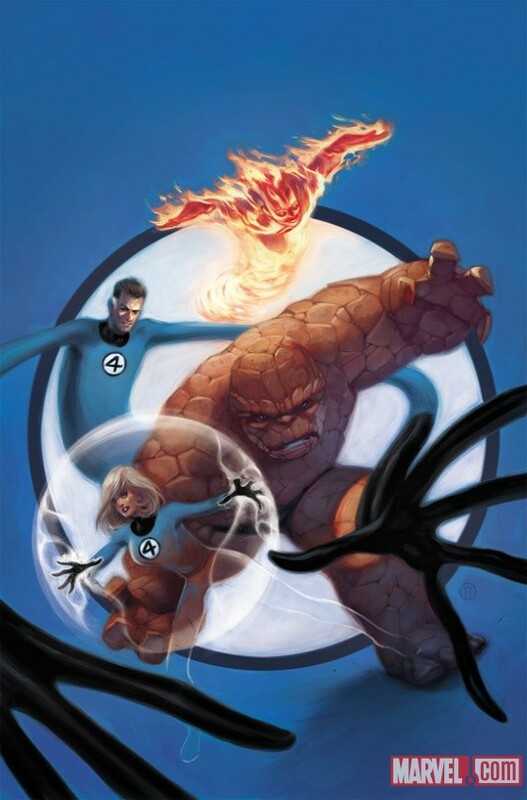 Aimed at new and old readers alike, the first wave featuring Spider-Man, the Fantastic Four, Daredevil and The X-Men, brings readers a complete story, modernizing the seminal origins of these characters while also offering new revelations for long-time fans. There will be one graphic novel on sale each month starting in February. Whether you’re picking up a comic for the first time, or looking to add more to your comics reading experience, then it’s time to discover the world’s greatest super heroes all over again in Marvel: Season One! Dark Horse are creating new comics to be packaged with Mattel’s upcoming He-Man action figures, and the stories will be a continuation from the original ’80s mini-comics. Wow. Good news. You can read an interview here with their writer Tim Seeley (Witchblade). The covers are by Eric Powell (The Goon) with interior art by Wellinton Alves. On a related note, action figure collectors can join Mattel’s new Club Eternia, which begins next year. For $20 a month, you’ll receive a host of goodies and exclusives throughout next year. Mladen and I discussed the first issue of Brightest Day Aftermath: The Search for Swamp Thing in a recent Extra Sequential podcast episode in which we focused on Swamp Thing. I saw the second ish at the comic shop today and didn’t grab it, as the first issue really wasn’t that great and my investment in Swamp Thing as a character isn’t monumental. 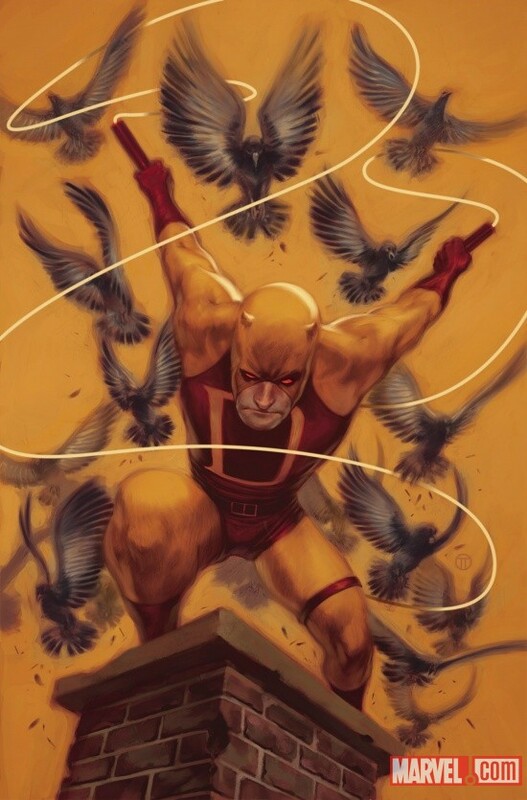 I am curious to see what DC actually do with him (and John Constantine) now that they’re both outside of Vertigo’s world and in the DC Universe proper though. Anyway, here’s David Mack’s variant cover for August’s Brightest Day Aftermath #3. Another winner from Mack.